When your cameras or NVRs are on the same LAN with your PC, you may add them via Reolink Client easily referring to the following two methods. 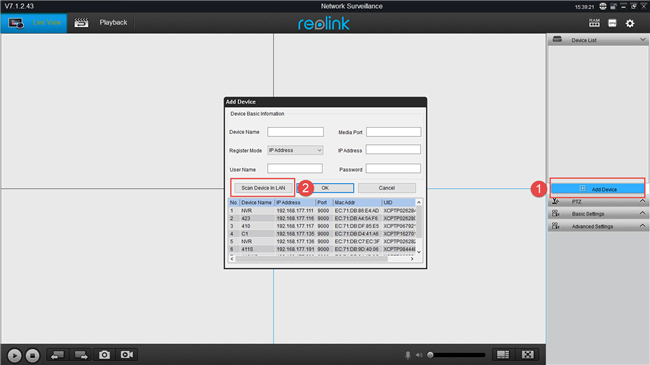 Launch Reolink Client, and it will scan and add Reolink cameras automatically by default settings (learn more at here). If the cameras can’t be added to Reolink Client automatically, you may refer to the following steps to add your cameras. Step 1. 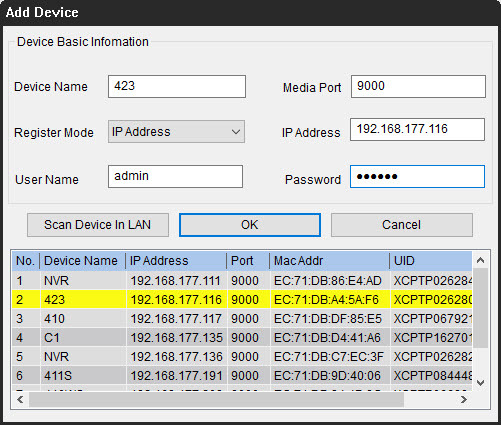 Choose Add Device -> Scan Device in LAN to scan your Reolink device(s). No Devices Detected and Displayed on the List? Step 2. Double click the devices shown in the list and fill in the information to log in to the Reolink device(s).